If you are one of Mayor Rodrigo Duterte’s campaign management leaders, you know that inventory management is not just for merchandise but for voters as well. It is a common practice to identify voters and would be voters. The trick is to protect those who are going to vote and increase the number of possible voters. To do so, one needs to identify the signs of possible Duterte voters; here are the signs that you should know. 1. He or she is a resident of Davao City and has enjoyed the benefits of living in one of the most child friendly cities and safest cities in the world. Duterte is recognized not only locally but internationally for his ability to transform Davao City from a “no man’s land” into a bustling city. 2. The potential voter has lived in Davao City any time from 1998 at present and has witnessed the transformation. It was a no mean feat for Mayor Duterte and it needed 360 degrees cooperation from citizens to companies and organizations. 3. 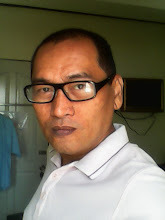 Would be voters have Davao City connection; meaning they have friends and relatives who have extolled the beauty of living in Davao City and appreciate the orderliness and discipline instilled by the mayor. Whether you are rich or poor, sure thing is people in Davao City cooperated with the mayor. 4. Voters maybe living in different cities in Mindanao are envious of the development and improvement Davao City is experiencing right now. Davao City is a unique case in terms of managing diversity. People in Ozamiz, Dipolog, Cotabato City, Zamboanga City, Iligan City for example wish that they have politicians like the Mayor who has the guts and the will to rule with iron fists. 5. Posting pro-Duterte articles over various social media networks like Facebook and Twitter. Campaign management is different from long ago, as message runs faster and received by intended people directly because of the Internet. 6. Frustrated citizens of the republic. Filipinos have elected a martyr’s wife, a former military man, a movie actor, a former president’s daughter and an economist, a former presidents first born and only son; only to discover that nothing much has changed in terms of governance and politics. Thus, these would be voters believe that Duterte’s governance is just the stimulus needed to achieve the change for new politics and governance. 7. He or she is a Duterte voter as these people are not huge fans of FPJ. Only rabid fans of Panday and the Probinsiyano will vote for the adopted daughter of the King of Philippine Movies - Grace Poe. And many are convinced that just like her father, this foundling does not possess the brand of leadership the Philippines needs in order to change for the better. 8. He or she is a Duterte voter as huge numbers of Filipinos are fed up with corruption. Many were disappointed that both the daughter and the son of former presidents continued the legacy of corruption. Corruption charges under both administrations would make Marcos charges of corruption pale in comparison. 9. Duterte voters do not like puppet politicians or lapdogs. You know that one of the candidates will just continue the inefficiency and politics of serfdom Aquino administration is known for. Six years after, Noynoy administration can only minced words that they did better but could not point out specific programs that made things better for Filipinos. 10. Convinced that the entire country must be ruled with iron hands. It simply means implementing laws rigidly. This includes coordinating various government organizations and private entities and corporations to foster harmony in Philippine society like what he did in Davao City. 11. Convinced that Duterte has the charisma to charm skeptics and non-believers into cooperating with him. It takes more than a name to lead the country. It takes action and his being an action man is the weapon to charm people that he indeed can deliver in terms of responding to the nation’s needs. 12. 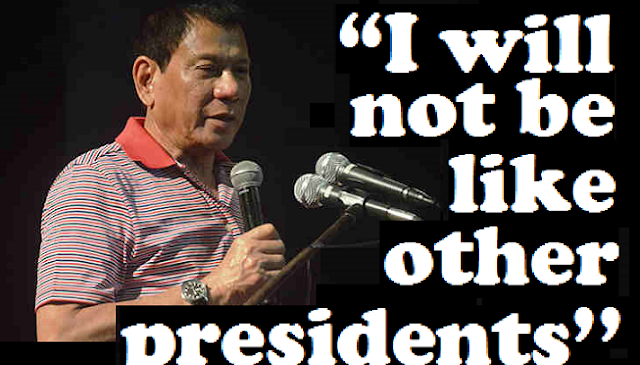 A non-Davao City resident is a Duterte voter because he or she does not believe in politics of personality. One of the reasons why the state of Philippine politics is rotten is that many voters have celebrity mentality. They only vote for famous people; thus, they vote for actors, sons and daughters of famous and notorious politicians, and those peddled well by PR machines. Duterte is not a product of political machination. His achievements are the reasons of his popularity and the clamor of people for him to run as president of the republic. 13. The would be Duterte voter believe that FEDERALISM is the appropriate form of government for the country. Federalism will channel all powers and privileges from Imperial Manila to local governments. It means that people outside of Manila will formulate and implement development plans according to the needs of their locality not on the whims and caprices of national leaders who do not have idea what life is outside of Manila. 14. He or she is a Duterte voter because of frustration. Criminality are rampant, people are killed in broad daylight, men in uniforms are protecting syndicates, people fear for their lives and you want these things to stop. And who you gonna call? 15. He or she is tired with lapdogs who are salivating for pork barrel. The Aquino administration will go down in history as those who made pork barrel a by-word among Filipinos. And, Pinoys need new buzzwords like crime busting, safe streets, graft and corruption free, federalism for examples. 16. A Duterte voter will ignore the mudslinging thrown unto him. He is a womanizer, he is dictatorial, he is a human rights violator and so on and so forth. A Duterte voter will look beyond labels and instead focus on the achievements which are incomparable. His performance can be replicated anywhere else in the country but many of our political leaders are very much concerned with images. They would rather gain favorable impressions instead of solving social problems which are unpopular and uncomfortable for everyone. 17. Prefer that criminals are killed and don’t give a damn if moralist and hypocrites cry foul and demand explanations. Someone should do the dirty work and own them when criminals are rampant. 18. Would want a drug free society and Mayor Duterte has the balls to confront not only users and pushers but also drug lords. Drug menace is one of the ills of the society and it affects or even kills numerous Filipinos and it’s time to deal with it the Duterte way. 19. Desire to have a smoke free Philippines. Smoking is dangerous to everyone’s health. 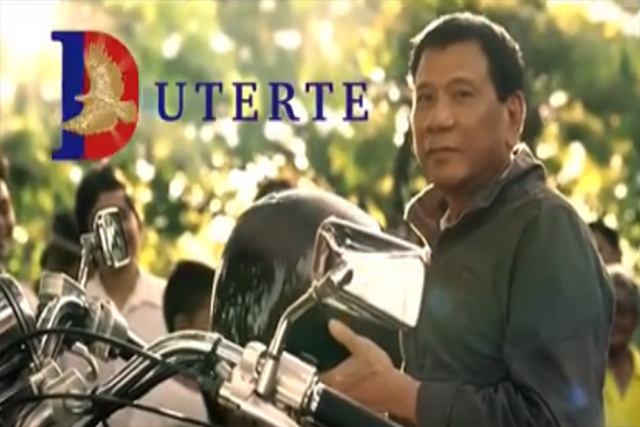 He just showed not only to Filipinos but to the rest of the world how Anti-Smoking Campaign should be done. Anyone who has been to Davao City realize that the only smell their nose recognize are body sweat and not secondhand smoke. 20. He or she likes the legends created about him. There are stories and there are other stories. Regardless of whether it is destructive to his image or not, a Duterte voter will always be fascinated and amazed with the stories created around him. If you want to gather forces for Mayor Duterte’s victory in the presidential elections, look for these people and encourage them to come out and be counted.